Molyneux steel reinforced crane rail pad is manufactured from wear resistant synthetic elastomer which is unaffected by oil, grease, ozone and exposure to ultraviolet light. The crane rail pad incorporates a bonded steel strip which is encapsulated in the synthetic elastomer. 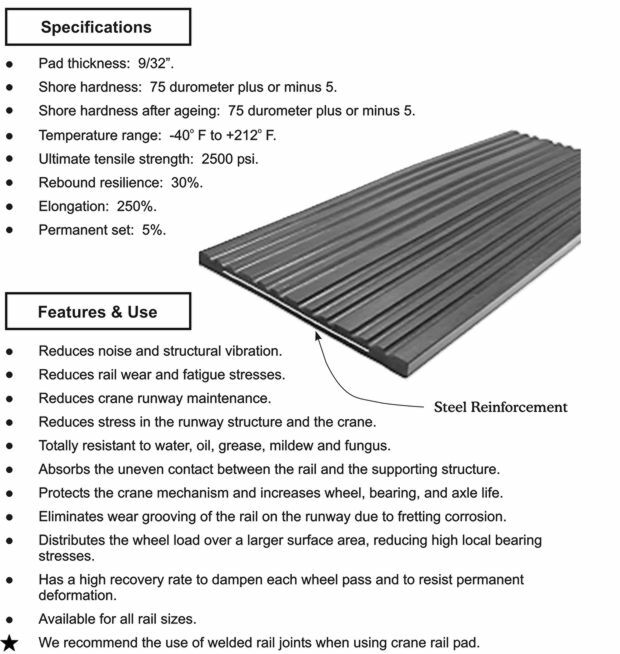 Steel reinforced crane rail pad is for heavy duty crane applications. For the best results we recommend the use of Molyneux cam adjustable rail clips in conjunction with the crane rail pad.